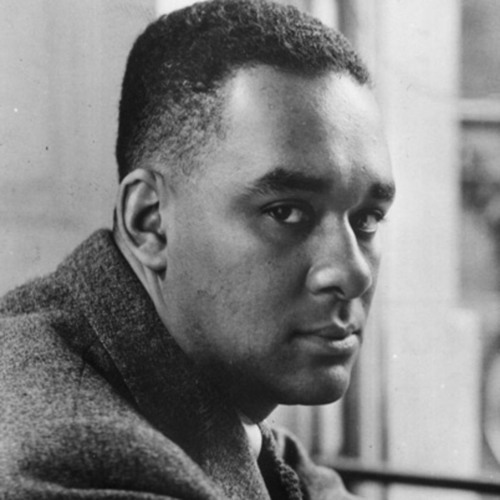 Richard Wright (1908-1960) is best known for his fiction, particularly his incendiary novel "Native Son," published in 1940. These haiku were created during Wright’s self-imposed French exile, in the final year-and-a-half of his life. Wright culled 817 haiku from the 4000 that he had written to be published as "This Other World: Projections in the Haiku Manner;" I selected eight of these to represent musically, in the form of miniatures for violin and marimba. Wright uses stark, evocative imagery within the concise Japanese form to depict both natural and urban landscapes, the latter more familiar from the author’s literary masterpieces. On the surface these are spontaneous word paintings, but a closer look reveals great discipline and craftsmanship, in an economical form of self-expression. "Eight Haiku by Richard Wright" was recognized with a 2001 BMI Student Composer Award, and was the winning work in the Auros Group for New Music’s 2002 International Composition Competition. “'Eight Haiku by Richard Wright (2001)' finds its composer, Judah Adashi, capturing the subtle emotive nature of this Japanese poetic format in a non-vocal environment. Scored for violin/marimba duo, it’s a personable, engaging opus with enough serious undercurrents to impart depth. And despite nods to Messiaen and Stravinsky, the sonic universe sounds fully personal.” – David Cleary, New Music Connoisseur, May 2004 Recording: The Wooden Project (Annaliesa Place, violin; Catherine Meunier, marimba) La Chapelle historique du Bon-Pasteur, Montreal, Quebec (June 2001).